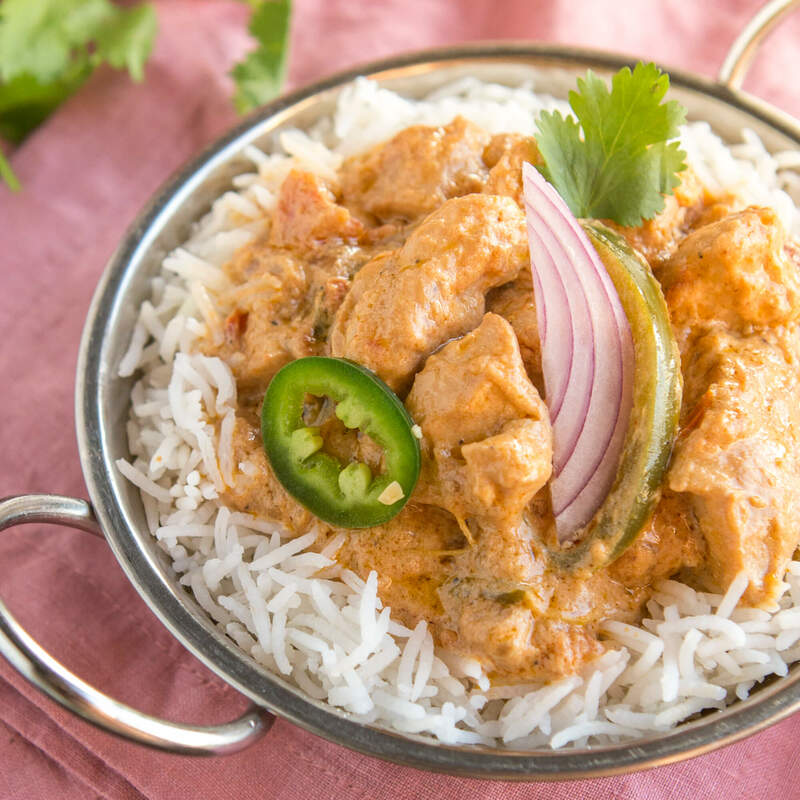 Cumin, coriander and ginger bring out the full flavors of chicken and Basmati rice in this spicy take on a northern Indian dish. In a medium sauce pan, bring water to a boil. Add rice and pinch of salt. Cover and reduce to a simmer. 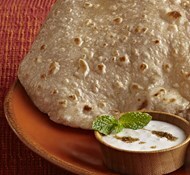 Cook for 20 minutes, or until water is absorbed. While the rice is cooking, begin cooking the Kadhai. Add grape seed oil to large frying pan over medium heat. Once the oil is hot, add the onions and fry for 5 minutes, or until the edges start to brown. Add chicken pieces and stir to combine with the onions. Add yogurt, cumin, coriander seeds, cayenne, salt, pepper, ginger and garlic. Stir until the chicken pieces are coated. Cook for 5 more minutes over medium heat, stirring occasionally. Add the tomatoes, water, ¼ cup cilantro, half of the chillies and stir again. Cover the pot with a tight fitting lid and simmer for 20 minutes. After 20 minutes, remove the lid and cook on high heat to let the water evaporate. Once the water evaporates after about 10-15 minutes, stir again. You’ll notice that the kadhai will release oil and you’ll see a sheen around the edge of the pan. Add the remaining cilantro and chilies. Put the lid back on and cook on lowest heat possible for 5-10 minutes. This is called the “dum” stage which is important to finish off the Kadhai. 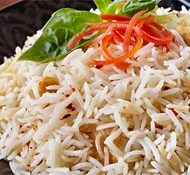 Serve with Royal Basmati Rice.